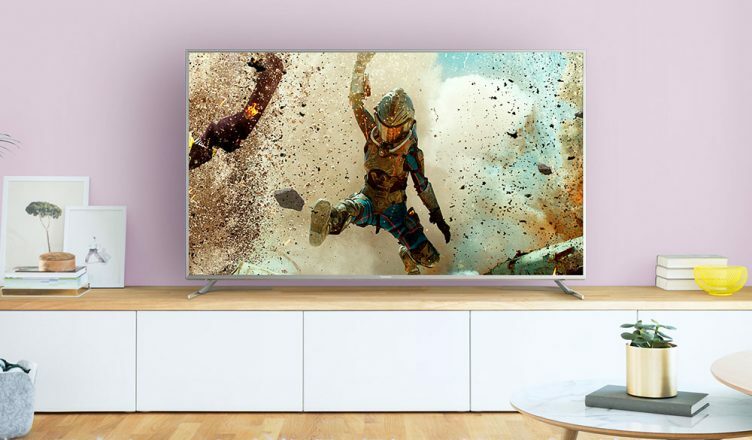 WIN A 50″ PANASONIC 4K TV! We loved the Panasonic EX700 range from the moment we took delivery of them and, thanks to our friends at Panasonic, we’re ready to share the love in our latest free to enter competition. The range, boasting fantastic picture quality, thoughtful design and great features, is available in four screen sizes (40”, 50”, 58” and 65”), and one lucky winner will receive a Panasonic TX50EX700B 50” TV! Read on to find out more about this brilliant prize and how you can enter the competition. Before you turn the TV on, you’ll notice the clever design starts with the feet. Understanding that shopping for larger TVs doesn’t necessarily mean we want to upsize the furniture, Panasonic has created ‘Switch Design’ for the feet. 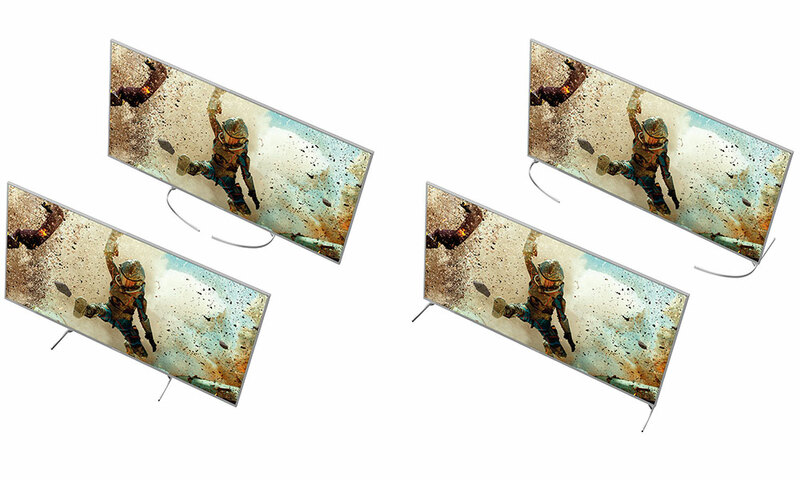 The switch design offers flexibility in how you position the TV. For smaller items of furniture, it is incredibly practical (and easy) to position the pedestal in the narrow configuration and with four configurations to the ‘Switch Design’ of the stand you’re assured greater versatility for where – and how – you stand the TV. The build quality of the EX700 is apparent from the moment you unbox it. There’s an incredibly thin and very sleek silver metallic bezel; this gives a premium finish that you’d expect to find in high-end TV ranges. The remote control supplied continues the silver theme. The remote control is similar to Panasonic’s layouts of the past few years in terms of button location (if it ain’t broke, don’t fix it!) There are simple navigation controls for Netflix, the HomeScreen 2.0 (which is fully customisable to your desired apps), services & connected devices, and the standard TV guide. Panasonic has also added a convenient ‘My App’ button which will give instant access to your favourite application. Controlling the TV doesn’t start and end with the remote control, however. Pair your smartphone or tablet easily using the Viera Remote application; photos, videos and music can then be displayed with a simple swipe. Use Screen Mirroring from any compatible device for easy and intuitive content sharing, too. Once the TV is set-up, you’re ready to enjoy the features this model is rich in. The EX700 series is ready to display the latest 4K HDR pictures which are becoming increasingly accessible in your home through a variety of different sources. Thanks to the Multi HDR support (HDR10 and HLG) you can be sure it doesn’t matter where you receive your content, it will be displayed as intended. 4K HDR on the EX700 displays images with true to life and accurate colours and pin sharp resolution and when this is incorporated with other Panasonic technologies including their ‘Wide Colour Spectrum’ and ‘Advanced Colour Processing’ it certainly provides an impressive viewing experience. Internet services such as Netflix, Amazon Video and YouTube are all available in stunning 4K resolution through the app’s facility, with the signals processed by what Panasonic call their ‘High-Precision Chroma Processor’ to further enhance these images. Freeview Play is also available through the internet connection, enabling you to view the most popular of catch-up, on-demand services without a monthly subscription. BBC iPlayer, ITV Hub, All 4, Demand 5 and UKTV Play are all present, so there are thousands of hours’ worth of content you may have missed, all accessible at the press of a button. 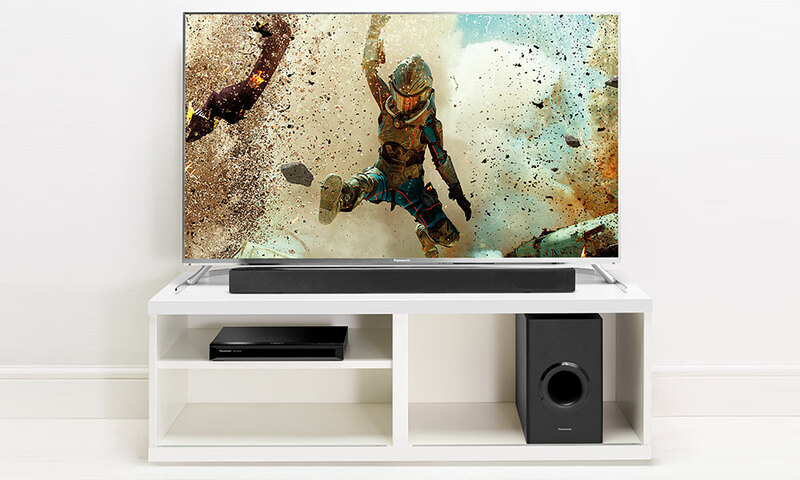 As with many modern televisions, the super-slim casing means that there is little space reserved for speakers but this is easily rectified with the addition of a soundbar. A Panasonic soundbar would be the perfect partner to this TV, and thanks to HDMI ARC support for connectivity, this could not be any easier to do so, with control via one remote. 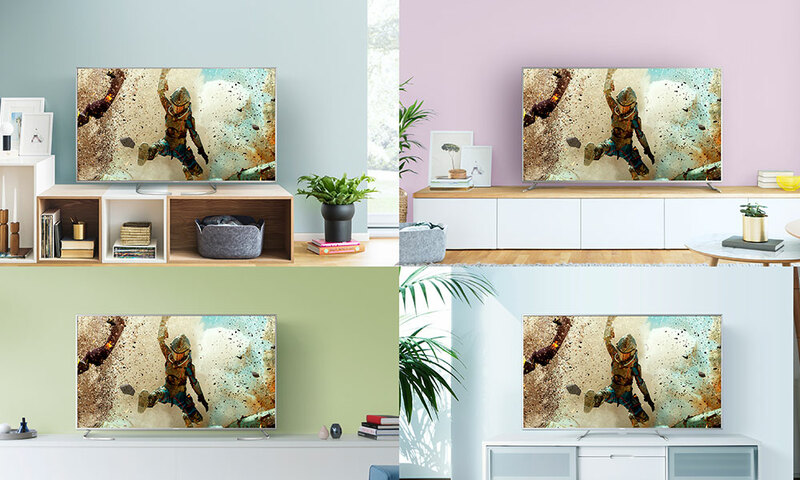 The EX700 range is a feature-rich, stylish looking set, offering an affordable alternative to some of the sometimes eye-watering prices for the most premium televisions. Panasonic’s EX700 range provides great picture quality, a brilliant motion rate and smart features aplenty. To be in with a chance of winning a Panasonic TX50EX700B 50” TV get yourself over to our Facebook, Twitter or Instagram pages to find out how you can enter our brilliant FREE competition. You can also buy online, choose to rent the Panasonic TX50EX700B TV for just £8.08 per week, use our Click & Collect service to collect from your local store in as little as one hour or ask your local store about viewing our Panasonic range. *Excludes the 40” which has two positions.